Hancock's Talent Show has been rescheduled! 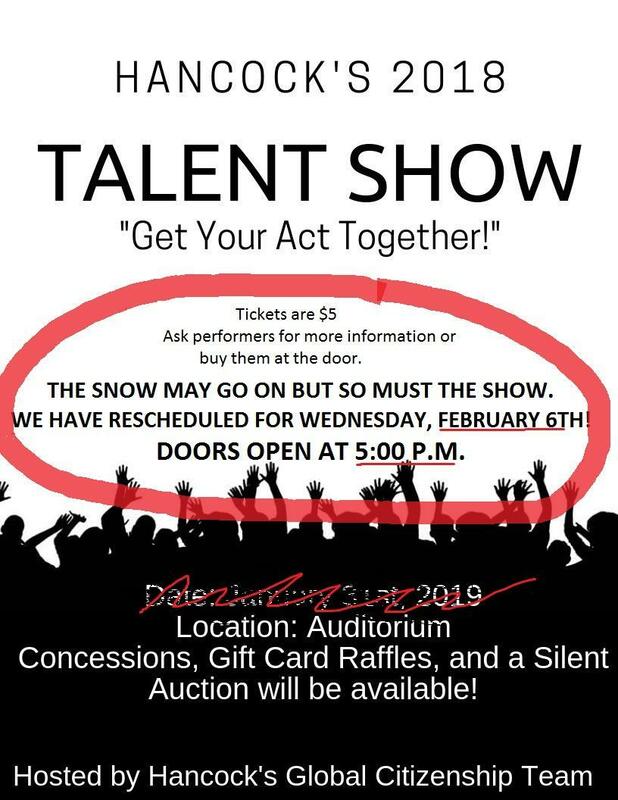 Due to the weather, the Hancock Talent Show has been rescheduled for Wednesday February 6th. Doors open at 5:00PM.